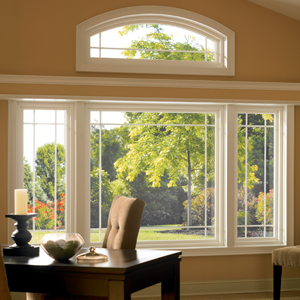 Window Installation in Atlanta can be hassle-free. Prior to meeting with a contractor – here are a few tips to consider before your first meeting. The first meeting lays the groundwork for the production staff and establishes lines of communication. Hiring a window installation contractor can be an daunting expedition. It requires a lot of valuable time to interview businesses, get bids, talk to friends and neighbors. It is also a big investment financially, if you want to be closely involved in the decision-making. Knowing what to expect before the project, when hiring window installation in Atlanta, will help you better prepare for the process. Experience is always one of the first priorities on the list. While more experience does not always mean better service, a contractor who has been around is more likely to have a proven track record. 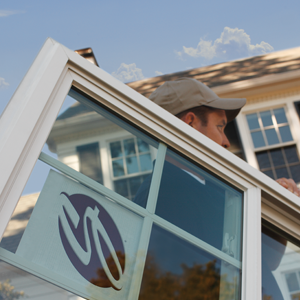 The National Association of the Remodeling Industry (NARI) offers great questions to ask a reference when selecting a window replacement contractor. Important Questions to Ask When Hiring a Window Installer? How do you operate? How is your company structured? Do you have employees or do you hire subcontractors? If you do have employees, what are their job descriptions? Do you use a project supervisor or lead carpenter to oversee the project? You should know what parts of your project will be handled by owner/staff, and which will be contracted out to independent contractors. What is your approach to a project of this scope? This will give you an idea of how the contractor works and what to expect during the project. This is one of the big tips of the company’s work ethic. What percentage of your business is repeat or referral business? This will give you a good indication about the company’s customer satisfaction. According to research conducted by NARI, most remodeling businesses attribute over 50 percent of their annual volume to customer referrals; some even claim up to 90 percent or more of their total annual sales. Reference Questions to Ask When Hiring a Window Replacement Contractor? Was the job site kept clean during the project? Was the remodeler professional, ethical, honest and fair throughout the process? Did the remodeler manage the overall project and process in such a way to ensure your satisfaction? Did any issues arise during the project? How did the remodeler handle them? We believe that replacement windows services should provide the best quality, service and energy efficient windows in the industry. We place the most importance in honesty, integrity, and affordability. We don’t pressure homeowners, we educate. We work hard to maintain a good reputation. We provide a quality product, competitive pricing, and trustworthy service. Most our customer base is word-of-mouth referrals. We are proud to say that “our customers are happy”. No hype, no pressure, no gimmicks.